We talk about the topic of food often—it gets a lot of airplay, but shouldn’t it? We eat three, sometimes more, times a day and we believe that food fuels our cells. It’s important! 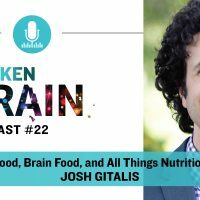 Today, we are talking with Toronto-based functional nutritionist Josh Gitalis who is passionate about helping his clients figure out the best approach to eating for their needs. Josh and our host Dhru start off with wild foods and how they are nutritionally superior to your supermarket finds. Have you eaten any dandelion greens lately? (Just be sure they aren’t sprayed with pesticides!) Find out how you can incorporate wild foods into your meals and adapt to enjoy the taste of bitter foods. 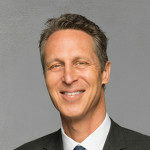 You’ll also get to hear about why you may need a different diet for different times of your life, functional lab testing, how you can incorporate more greens in your meals, practical tips for feeding kids, and much more. This is a great one! I know you’ll love all the educational information from this episode of The Broken Brain Podcast as much as I did. PS – Learn more about Josh and the functional nutrition program he offers here. You can also check out the book he recommends, Eating on the Wild Side, and the Omega-3 Omega Quant test. Should we all avoid gluten?